2019 is only a few weeks away. And the new year often means, time for a new you. Time to get off the couch, and time to get in shape. 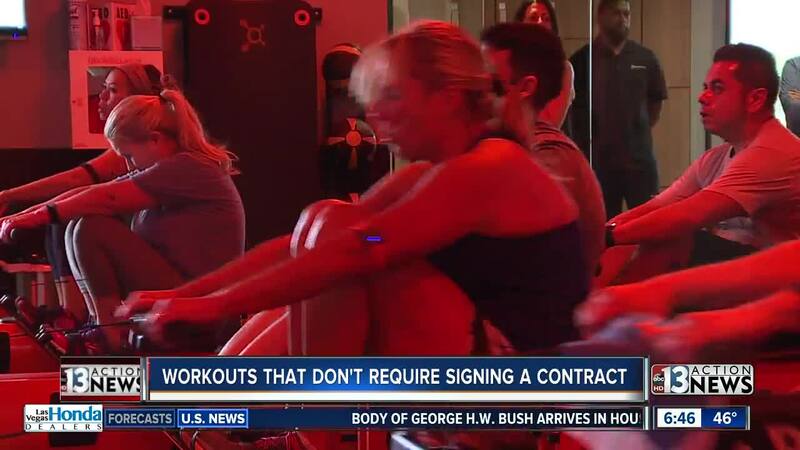 But if you don't like the idea of signing a contract at the local gym, you're in luck. LAS VEGAS (KTNV) — 2019 is only a few weeks away. And the new year often means, time for a new you. Time to get off the couch, and time to get in shape. But if you don't like the idea of signing a contract at the local gym, you're in luck. You don't have to be locked into a contract, to get a good workout. These days there are so many alternatives to the traditional gym. For example: try a yoga studio. "The benefits that I've seen and experienced are really holistic. It's very much a mind, body, spirit practice," says Maggie McDermott. She loves her hot yoga class at Modo Yoga Las Vegas . "When your legs are bent in certain postures, I mean that's all quad strength and different kinds of balance, posture. It's terrific strength building," says Maggie. There's no minimum contract. Drop in classes are only $19 or try an introductory month for $40. Just don't be afraid to try. "It doesn't really matter what the postures look like. There's no expectation that you do them perfectly. It's more about just doing your best," says Modo Yoga Las Vegas Owner, Kitty Orient. If you're looking for something more high energy: try a workout at Orangetheory . Alex Portuondo says he was tired of the same old routine. "Usually if I go to another gym and I'm there for maybe two hours; sometimes waiting for another machine, other times trying to figure out what I'm going to do," says Alex. But not at Orangetheory. Every day is different, with classes involving a full body workout of cardio and strength training. "You actually have a coach with you at all times, that's actually a certified trainer. 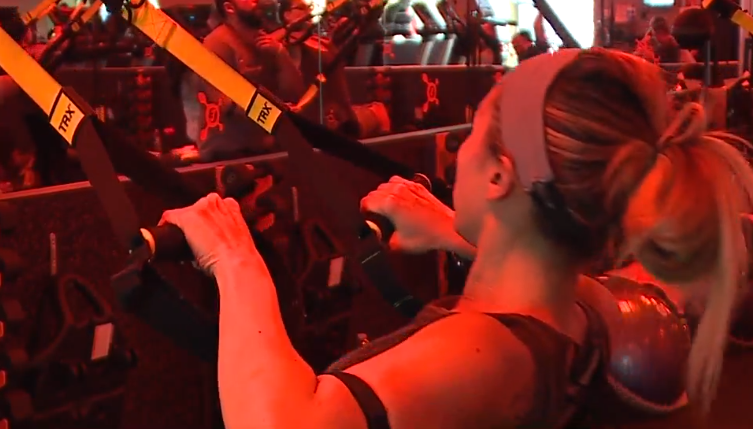 They're going to be able to help you to make sure you have the right form, the right technique," says Orangetheory Coach, Melissa Saucedo. Each member wears a heart rate monitor showing helpful statistics in real time, like how many calories you've burned. "I burned over a thousand," says Alex. After a year, he says he's lost more than 70 pounds. The good news is, your first class is absolutely free and memberships start as low as $59 a month. But if you're looking for an even more intense workout: try a CrossFit class. Brad Beckman is a member at Freestyle CrossFit . "I'm 57 years old. So all ages are involved in CrossFit. You've got personal trainers and coaches that will work with you here, depending on what level you're at," says Brad. They've even tailored their training to accommodate pregnant members. It's about making sure everyone gets the most out of every class. "So you don't have to come up with your own ideas and your workouts. You have people who actually look at you and care about you, and want to help you get to the next level," says Freestyle CrossFit Owner, Richie Contartesi. There's no contract to sign up. In fact they're so confident in their trainers and their program, Freestyle won't charge you a dime to come check them out. "If someone wanted to say, hey I want to see if this is for me, you can 100% come in for a free class," says Richie. But if variety is what you're looking for, Life Time Fitness may be the place for you. With options like: basketball, indoor and outdoor swimming, plenty of workout equipment, more than 150 group fitness classes every week, plus a spa and cafe, this place is a destination. And don't forget, there's events for the entire family. "We offer a Halloween Spooktacular, Breakfast with Santa, and Daddy-Daughter Dance... So something you would expect from your local country club, we can offer here at Life Time," says Events Manager, Mary Zedella. Jeff Helvin says his family loves it all. "They have programs; whether it's sports, dance, coloring, outdoor play. The staff here is fantastic," says Jeff. He's seen fantastic results, losing more than 50 pounds since the beginning of the year. But he admits it takes commitment, no matter how you decide to get in shape. "What I encourage everyone to do is just show up. Literally, that is the only decision you have to make," says Jeff. All the locations we mentioned, allow you to pay month to month. Another great option is the free app called Meetup . There you'll find local groups getting together to do everything from running to hiking to dancing.